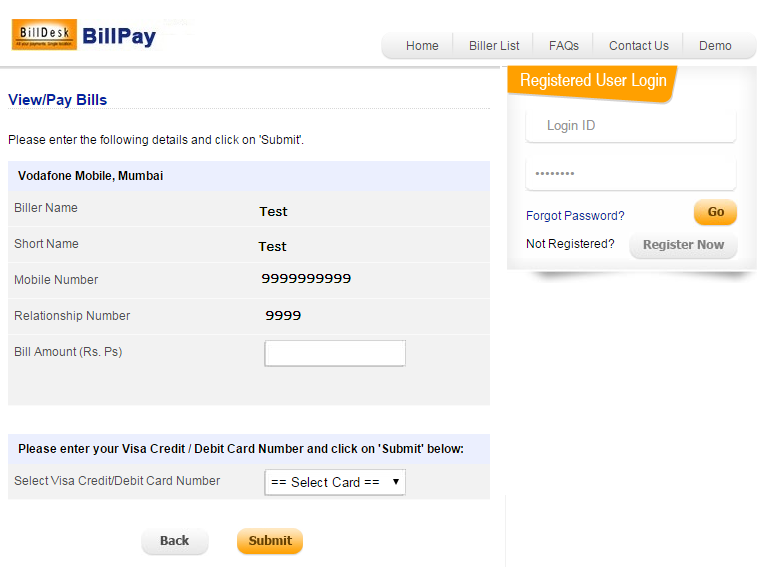 Paying your bill couldn't get any simpler than this. Just follow the simple 3 step process that makes any bill payment a breeze. 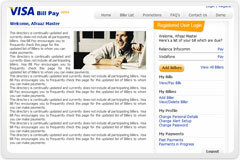 One you reach our homepage, look for the 'Quick Pay' section on the top left corner of the screen. 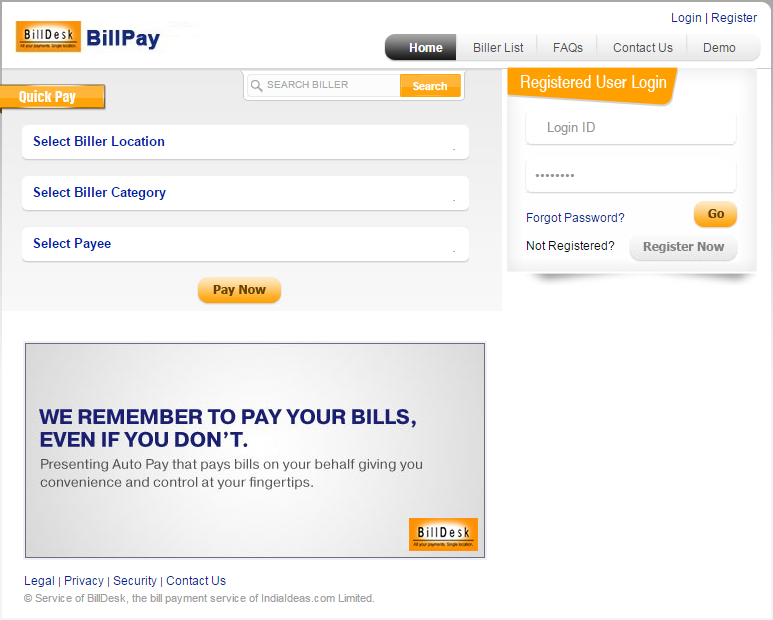 Navigate to the biller you wish to pay and then Click on 'GO'. 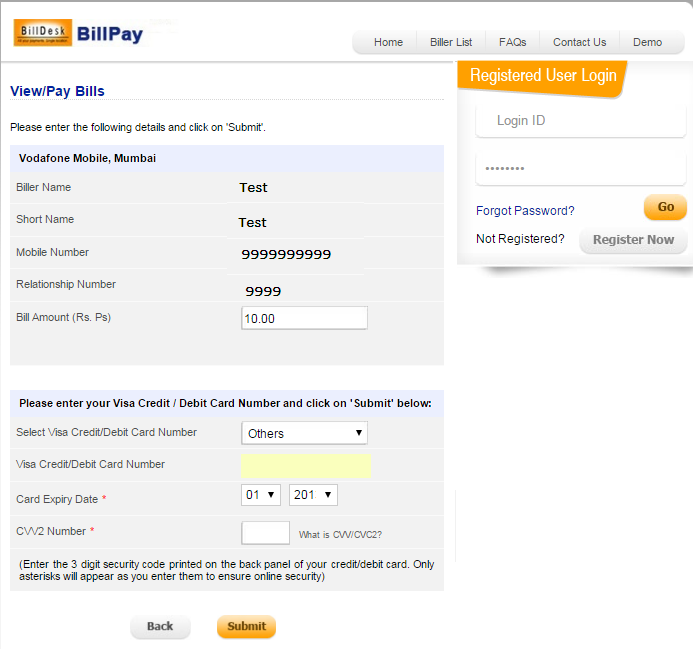 NOTE: ONLY A LIMITED SET OF BILLERS ACCEPT THE QUICK PAY OPTION. 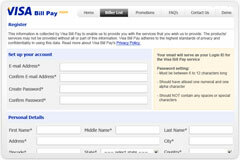 FOR ACCESS TO OUR COMPLETE SET OF BILLERS, PLEASE USE THE REGISTER AND PAY OPTION. I. Fill in the form of pre-requisite information needed to complete payment. III. Biller specific terms if any (viz. 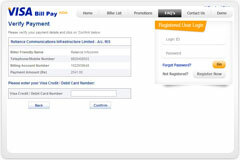 part payments, late payment related aspects) will be displayed at the bottom of the page. Verify these details to ensure they are correct and then click on 'CONFIRM'. And In just 3 quick steps you've completed paying your bill! NOTE: REGISTERING WOULD GET YOU ACESS TO A NUMBER OF FEATURES LIKE, ADDING YOUR BILLERS, PAYING A NUMBER OF BILLERS THAT WOULDN'T ORDINARILY ABLE TO VIA THE 'QUICK PAY' OPTION. 2.Use the menu on the right to navigate to edit your list of biller, add more billers, change your profile settings, etc. 3. Using this menu, you can also modify your profile, change password, retrieve an online record of all payments made by you etc. 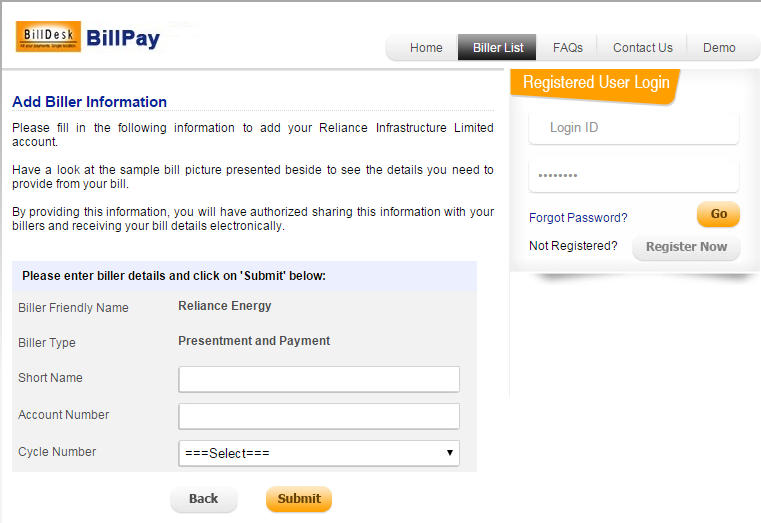 1.Add the billers from who you wish to receive bills electronically. 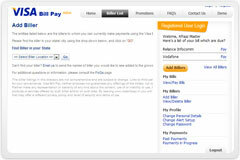 3.BillDesk BillPay will notify you by email whenever you have a new electronic bill to pay.